"You do not have to sit outside in the dark. If, however, you want to look at the stars, you will find that darkness is necessary but the stars neither require nor demand it." 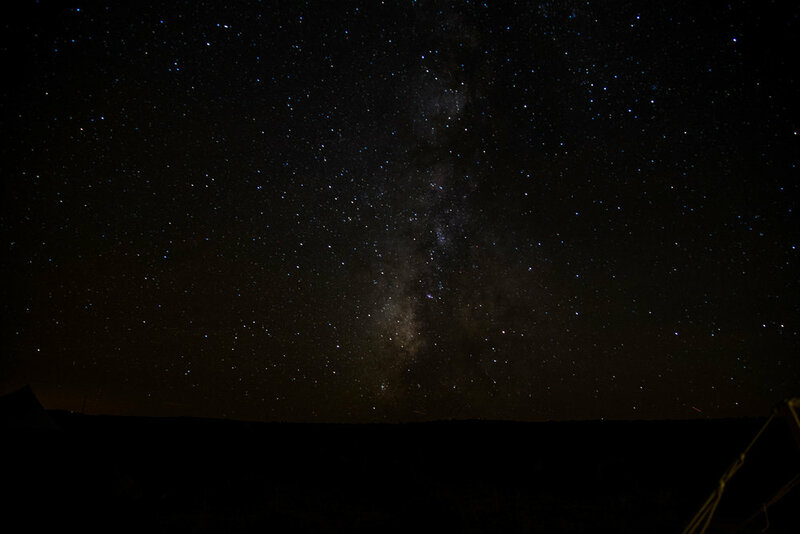 Picture a flat, desert landscape, up on an elevation close to 5000 ft. You step outside of your tent, into the darkness, and there is an eerie stillness. Not even a single breeze to break up the silence. You feel slightly uneasy as you imagine desert critters creeping up on you at this very moment. As your eyes try to adjust to the darkness, you look gaze forward and see a splattering of stars starting so low to the ground, you almost want to run across the landscape to see if you can touch them. As you tilt your head back, you are met with an explosion of stars. Stars like you've never seen before, at least, not in person. The milky way is visible, creating a blurry arc across the sky. And layers upon layers of shiny orbs reminding you that we are all living on a planet suspended in a single galaxy, one of billions in our universe. How small, yet how amazing, is our earth? The above quote by Annie Dillard really resonated with me during my explorations in Page. Not only because the star gazing was phenomenal but because I felt this quote can relate to so many experiences you can have in the great outdoors. Nature, in all of its unconstrained, raw beauty, is out there, always, just waiting for you to take the road less traveled. I received many messages about the camera equipment and settings I used to take these photos. 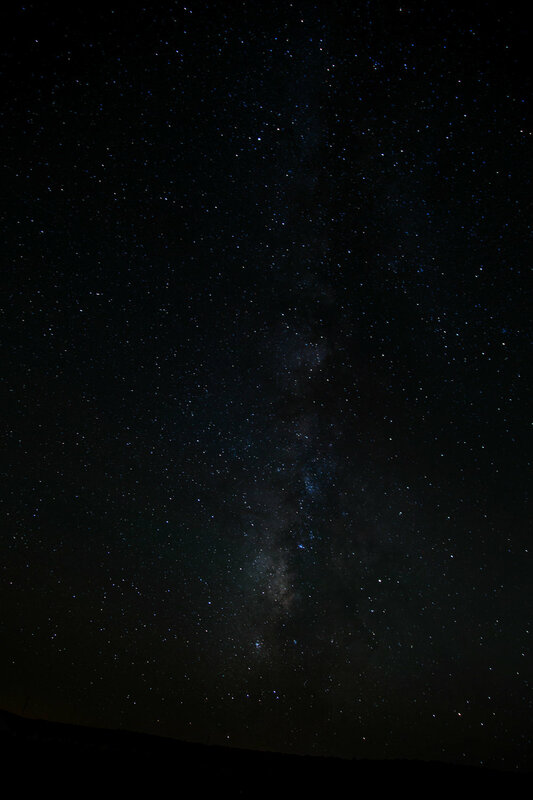 I am not at all an expert when it comes to astrophotography. This is actually only my third attempt at it, and the first two times didn't turn out so well. While I did not go out and buy anything specifically for taking photographs of stars, I did do some research to find the best settings using equipment I already owned. Hope this helps! Share photos with me, I would love to see them!